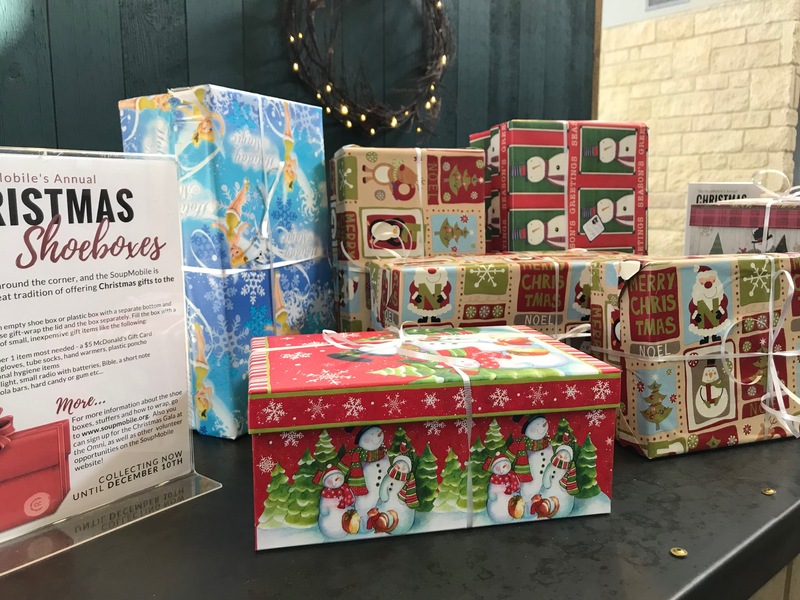 Centennial Church: Frisco, TX > Annual Christmas Shoebox Drive--Deadline Extended! 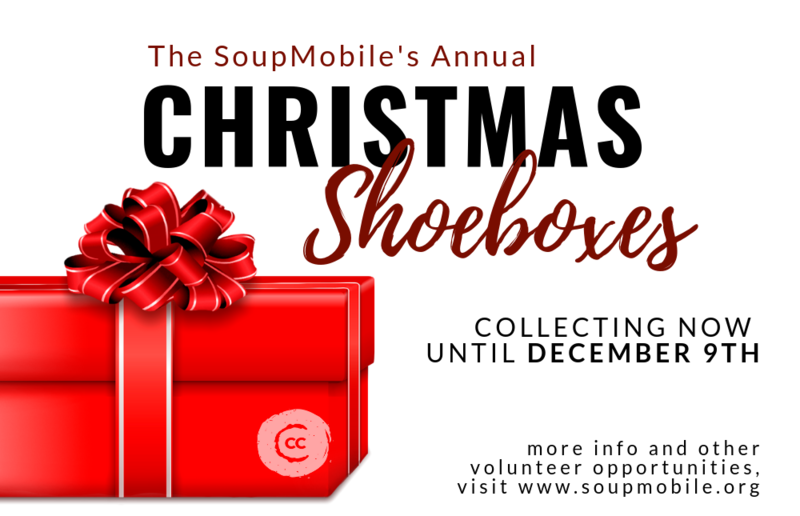 Annual Christmas Shoebox Drive--Deadline Extended! Christmas is just around the corner and the SoupMan needs your help to carry on their annual tradition of providing Christmas gifts to thousands of homeless people right here in Dallas, Texas! 2. Join us at the Omni Hotel on the Red Carpet to welcome and serve these guests on Christmas Eve morning. It will warm your heart! Visit the SoupMobile page for more information and to register for the Omni Hotel event. Contact Kristi Watkins if you have any questions.